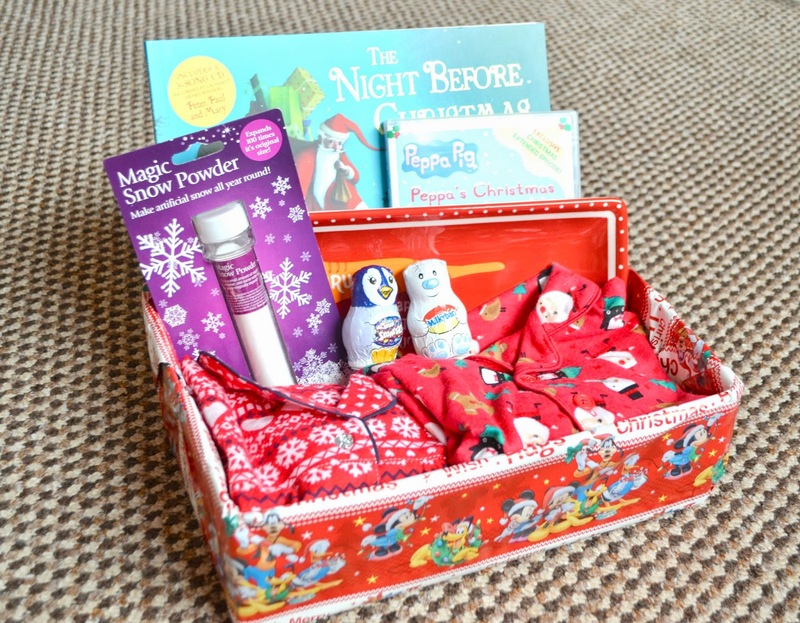 Last year I wanted to make Paige a Christmas Eve box but I never got round to it, mainly because I was suffering with bad morning sickness. This year I wanted to try again and succeeded. I decided that as Parker is still small I would make them a joint box this year but I may just do a joint box every year. I didn't want to go crazy and add a million things too it but I just wanted a few little items for them to have on Christmas Eve. The plan is for them to open the box after tea. A pair of pajamas for both Paige and Parker. 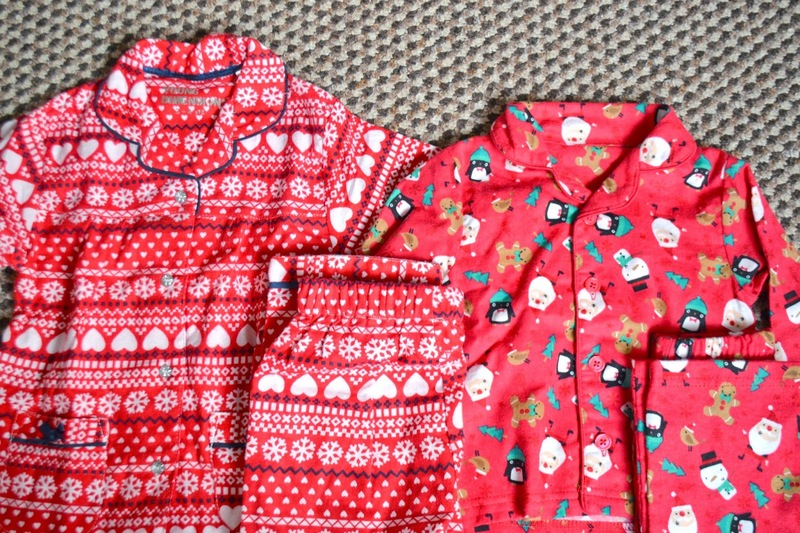 I love the idea of having special Christmas pajamas on Christmas Eve. Both sets of pajamas were from Primark. Paige's were around £4 and Parker's were £10 but also came with a dressing gown (which I've wrapped up and a ginger bread man teddy which is in his stocking). A Christmas DVD. This year I've gone with a Peppa Pig Christmas DVD. Mainly because I know Paige will love it. After tea and a bath we will all sit down and watch this together. This was from Primark and was £4. 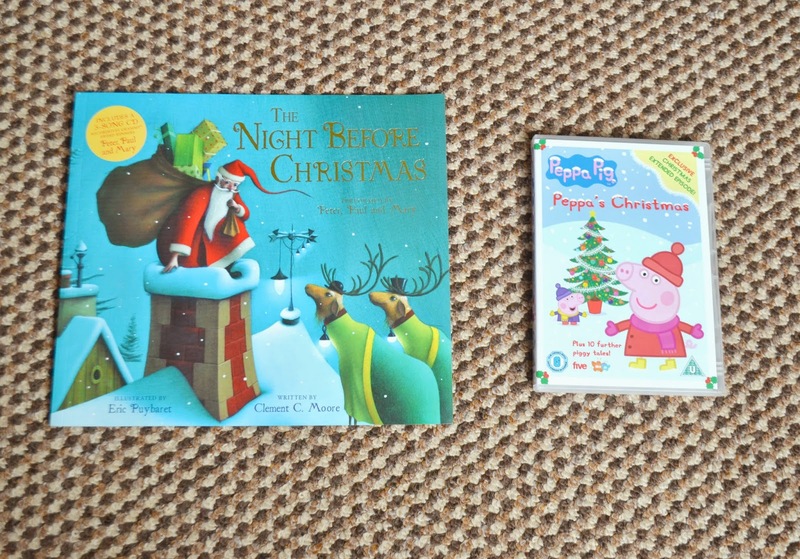 The night before Christmas book. We have never read this book so I'm super excited to read this on Christmas Eve. This was £5ish from Asda and has a CD too. A Christmas plate for Santa, this won't be included in every years box but I thought it made a nice addition to this years box and we can reuse it next year and for many years to come. It was from Matalan and was £8. 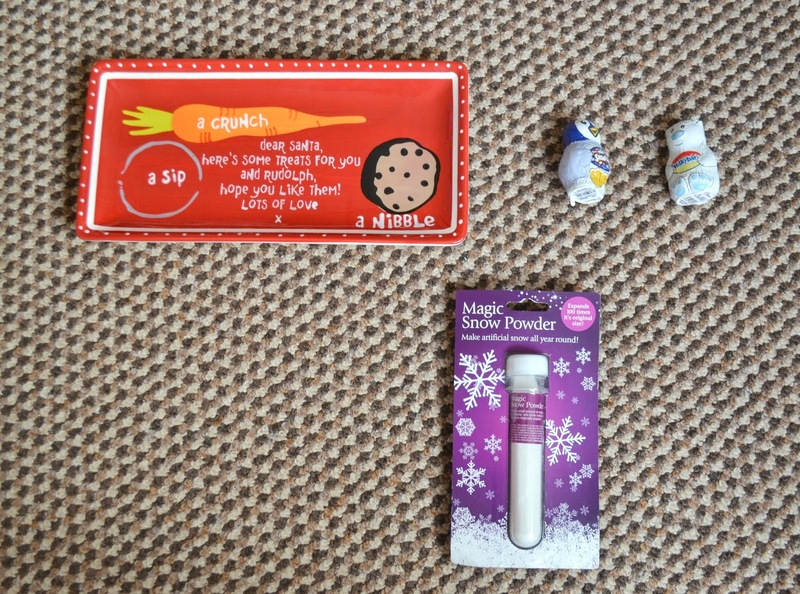 I also put some magic snow powder in as I thought it might be a fun activity to do with Paige. It was £1 from the PoundShop. Last up we have a little chocolate penguin and polar bear. Parker won't eat his but I had to include two. A little treat for after tea while we are watching the DVD. The box isn't anything fancy and I just wrapped up a plain box with Christmas paper. I know that they won't care what the box looks like so didn't bother buying one especially. This also made it cheaper as I just reused a box we already had. Do you make Christmas Eve boxes?